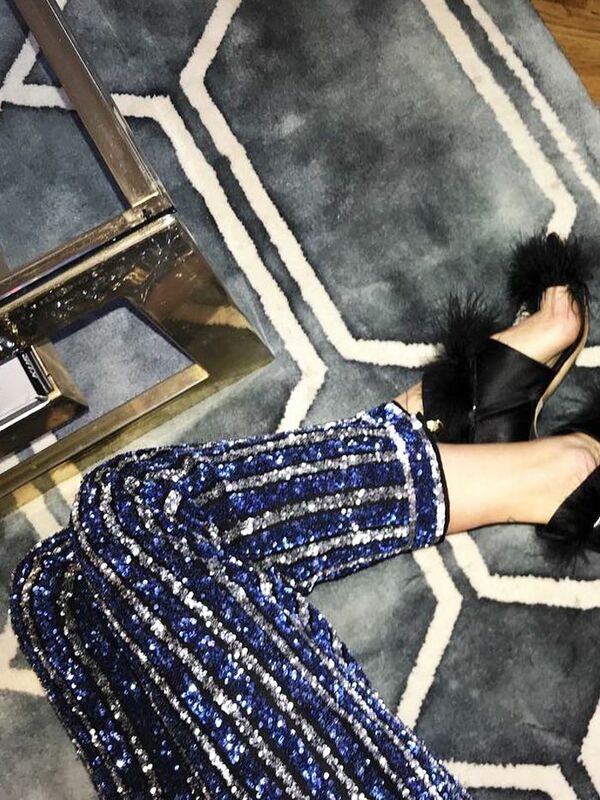 Out of all the fashion-based dilemmas in life, what to wear to a party has got to be one of the most difficult, as so many factors come into play. From how fancy or dressed-down to be, as well as working out which shoes won't give you blisters seconds after you leave the house, it's a veritable minefield of environmental and aesthetic hazards. My four outfits have largely been formed around one key piece—be it a bright skirt or distinctive dress—and have been paired with complementary (but not limelight-stealing) accessories. When it comes to event dressing, my mantra is very much "less is more," and this season, I'm enjoying balancing pops of lime green or powder blue with more muted tones such as brown and black. So if you're on the hunt for a summer-ready party outfit, feel free to take inspiration from my ensembles: Whether you're going for cocktails or attending a garden party, there'll be a look for you. Scroll down to see my full edit. Style Notes: The great thing about slip skirts is that they offer such a lovely textural contrast to the other pieces in my wardrobe. 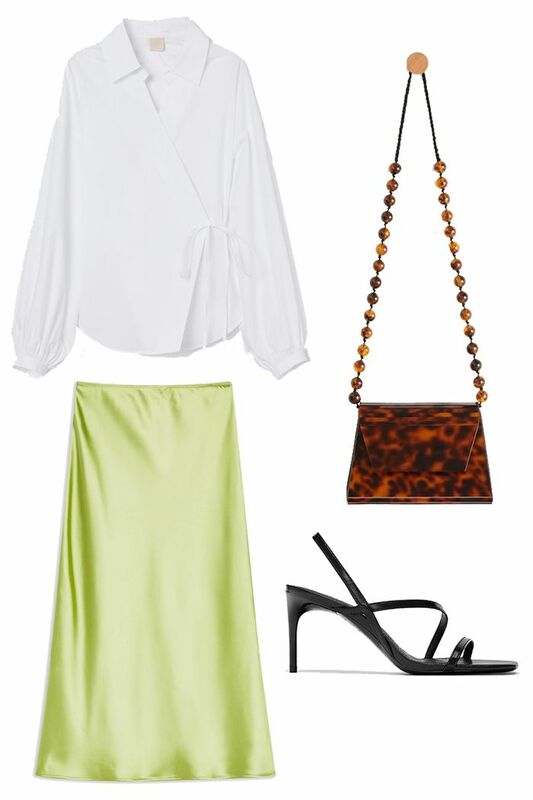 I'll offset this lime-green number with H&M's crisp wrap shirt and Mango's anthracite bag. Style Notes: I'm already a suit convert, so I'll take any excuse to wear one. They're super easy to throw together, and you can happily dress them up or down for any occasion. I wanted to bring out the retro vibes of this Joseph two-piece, so I've accessorised with patent Mary Janes, pearl clips and a '60s-style handbag. Style Notes: I love everything about this Lee Mathews dress—from its statement sleeves to the unusual two-toned floral fabric. I can imagine wearing this to a garden party or summer wedding, so I've kept the shoes on the more practical side (I've already tried on these Mango mules and can confirm they're so comfy). Style Notes: Everyone loves a good nice top–and-jeans outfit, and it's always been my go-to for drinks or dinner with friends. I'm all about the straight-leg jeans right now, and this Topshop pair makes for a perfect partner with 16Arlington's fab feather-trimmed blouse. All it needs is gold hoops, a mock-croc bag and By Far's acid-green kitten heels, and you're good to go.